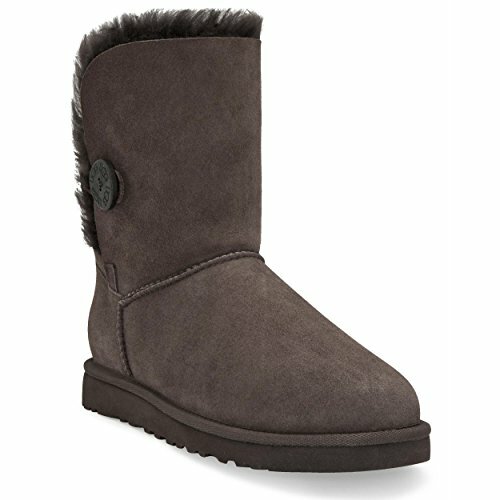 This series is the foundation of the UGG Collection. They are the original Authentic boots for the ultimate in warmth and comfort. Uppers are twin faced sheepskin or cotton blends with suede heel guards. Insoles are genuine sheepskin to naturally wick away moisture and helps to keep the feet dry. Outsoles are Molded EVA that is very light and flexible. This super cute boot is a must have for Classic Lovers. Can be worn up or folded down. This is a great boot for people with athletic calves. Easier to put on than the Classic Short. This boot is about 8 inches tall at the highest part of the boot from the sole to the top.